Safety data sheets (SDSs) consist of detailed hazard information. They must be accessible to all employees while on shift. All workers should read the SDS to be aware of all potential hazards before working with a chemical. 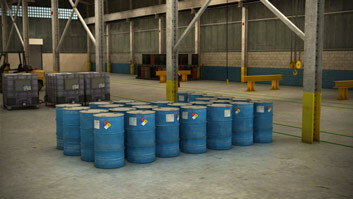 Hazard information must be displayed on container labels to provide an immediate awareness of hazards. 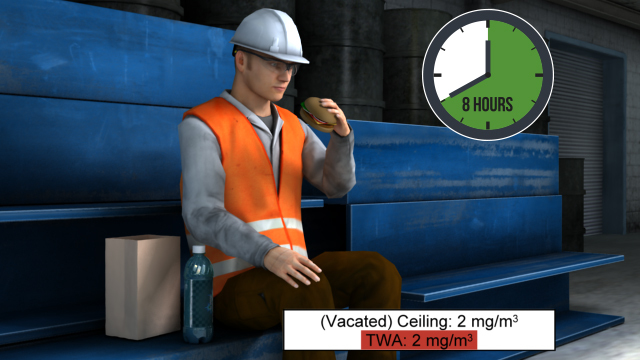 Most chemicals will have a TWA (Time-weighted average) limit specified. This is the average concentration that a worker can be exposed to on a daily basis without adverse health effects (assuming an 8-hours per day, 40-hours per week schedule). 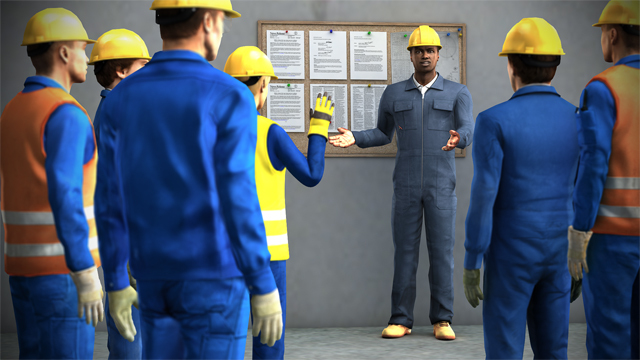 Workers have the right to know and understand the hazards presented by the chemicals they use and how to work with them safely. Employers must maintain a list of all chemicals on site and provide employees with safety data sheets, which contain detailed information about the chemical and its hazards. This module is designed to ensure workers know what information should be provided to them and to help them understand that information. 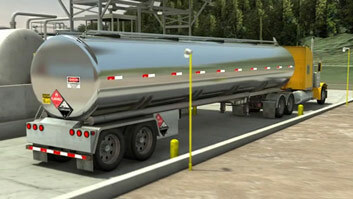 It describes the requirements of the Right to Know Standard and each section of a safety data sheet. What is the Right to Know Standard? 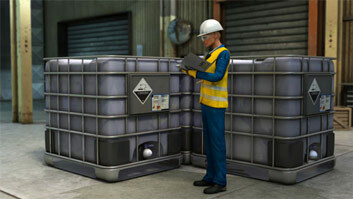 Employees have a "right to know" information about chemicals and hazards in their workplace. The standard defines requirements for employers. What requirements are included in the Right to Know Standard? Employers must maintain a list of hazardous materials, provide safety data sheets for each hazardous material, label all hazardous material containers, and train employees how to identify and work safely with the hazardous materials. 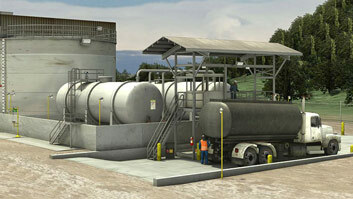 A written Hazard Communication program is needed to manage these requirements. 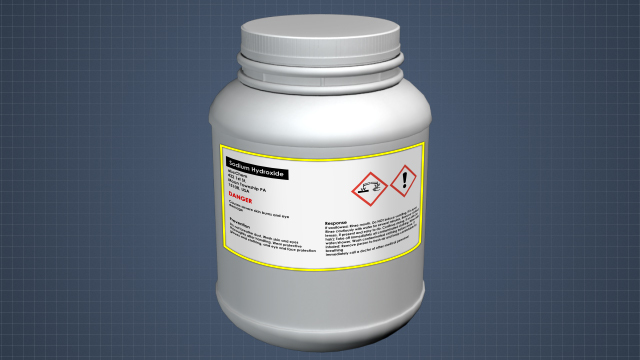 What information is included on container labels? All manufacturer labels include: product identification, supplier identification, hazard pictograms, signal words, hazard statements, and precautionary statements. When do employees need to receive training? Training must occur when an employee is hired or transfers to a different area and when a new chemical is introduced to the workplace. What information can be found in an SDS? 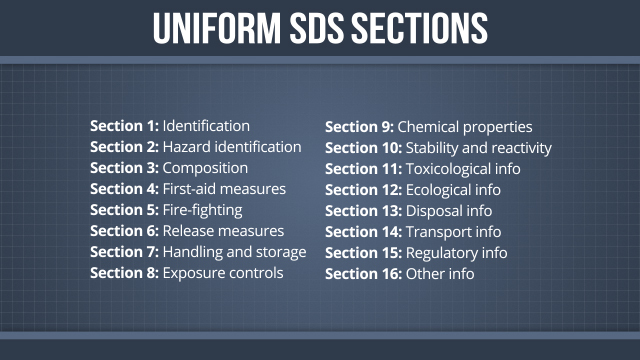 An SDS contains detailed information about a chemical, including its properties; its physical, health, and environmental hazards; how to safely handle, store, transport, and dispose of the chemical; and emergency control measures, such as first aid and fire fighting recommendations. Chemicals are essential in modern industries. Unlike machinery, some of the chemical hazards may not be as obvious. For instance, some chemicals are clear liquids that look a lot like water, but could cause severe damage if they were to come in contact with your skin. This is why it is important to know how to recognize the chemicals in your workplace and how to protect yourself. In 1983 OSHA established the Hazard Communication Standard, which was designed to protect employees who work with hazardous materials. The standard states that as an employee, you have a "right to know" information about chemicals and their hazards in your workplace. 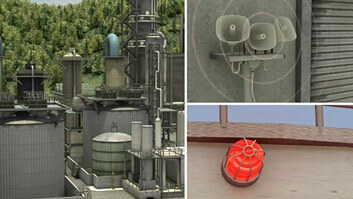 Therefore, the Hazard Communication standard is also known as the Right-to-Know standard, or law.